On the last day students could sign up for classes, Dedrick Mills has signed to officially become a Husker on Monday. The running back, who played for Garden City (Kansas) Community College last year, was expected to sign on National Signing Day back in December. However, Mills had to appear in court on that day, according to the Lincoln Journal Star. The Georgia native was arrested on December 14th in Ware County, Georgia, after he failed to appear in front of a judge relating back to a pair of July 2018 misdemeanor charges. According to the Omaha World-Herald, Mills was charged with speeding and driving with a suspended license. Before he played for Garden City, where he rushed for 1,358 yards in 2018. Before landing at the Kansas community college, Mills played for Georgia Tech back in 2016. While with the Yellow Jackets, he garnered 771 yards on the ground and scored 12 touchdowns. 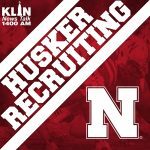 Mills is the third running back to join the 2019 Husker class, alongside fellow signees Ronald Thompkins and Rahmir Johnson.